We believe that raising awareness of PWS is very important because awareness leads to acceptance and understanding, which in turn leads to creating better lives for our loved ones with PWS. We are a registered charity and therefore we also encourage and assist with fundraising events. 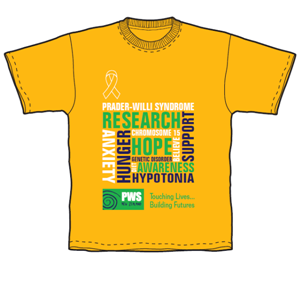 Each year, the international PWS Awareness Month of May provides an ideal opportunity for fundraising. 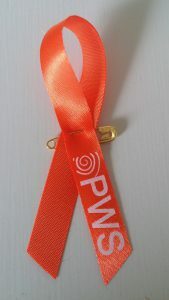 The month ends with Go Orange for PWS Day which takes place on the last Friday of the month. 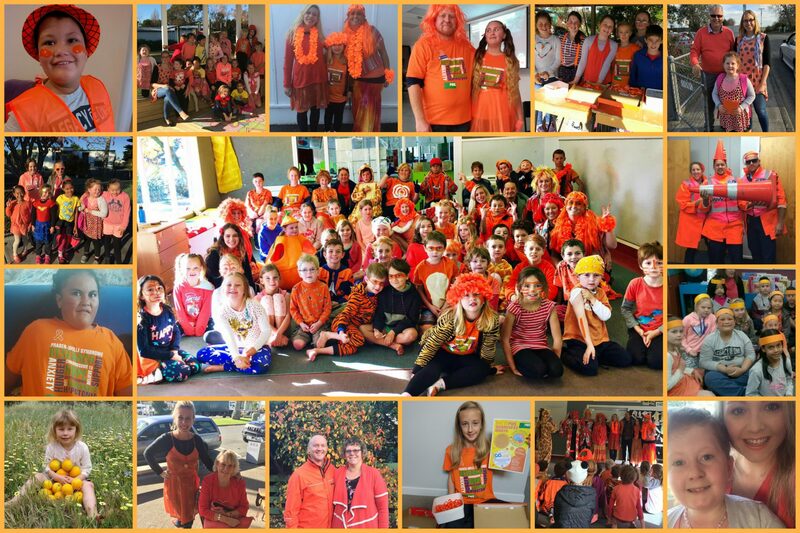 Resources, such as social media images, can be downloaded from the Australian Go Orange website each year and you are able to request a personalised profile picture. 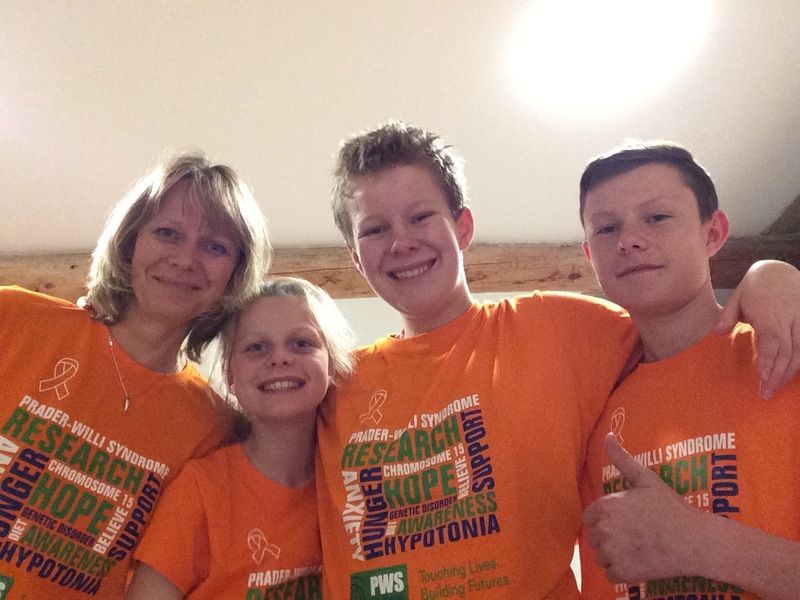 The website also contains lots of ideas for how to go orange! 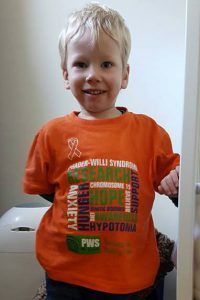 Another opportunity for raising awareness and funds is on international Rare Disease Day which is held on the last day of February each year. 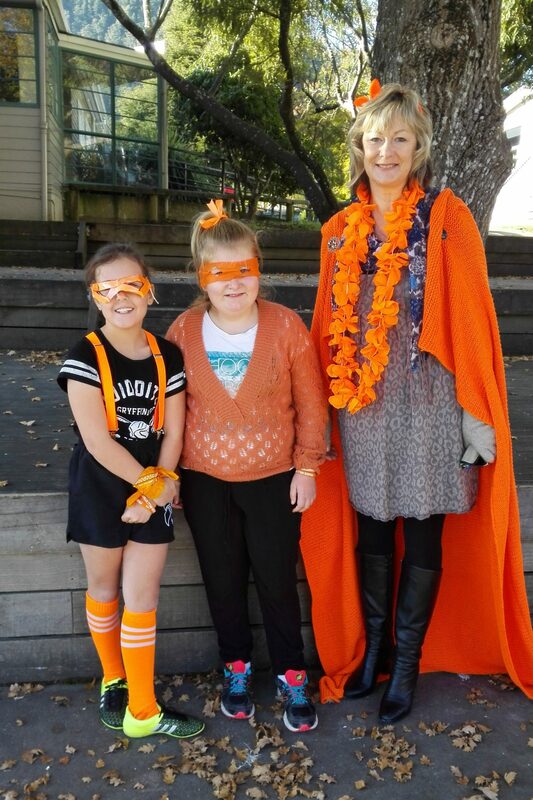 The New Zealand Rare Disease Day website contains information to help with your campaign. Or you may want to participate in an organised event whilst also raising funds. 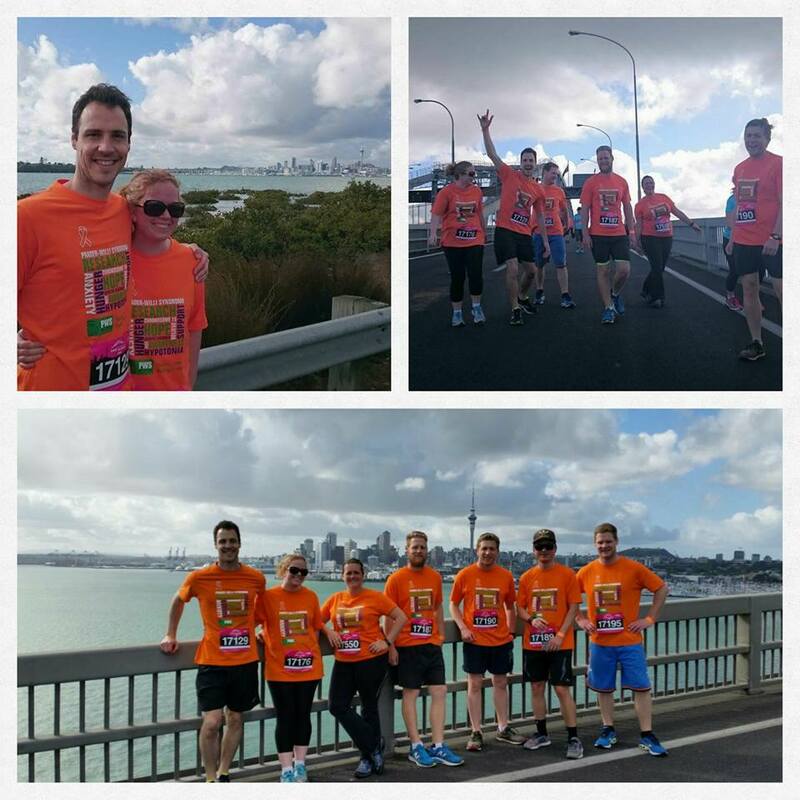 Check out these pictures of Team Charlie participating in the Auckland Marathon! 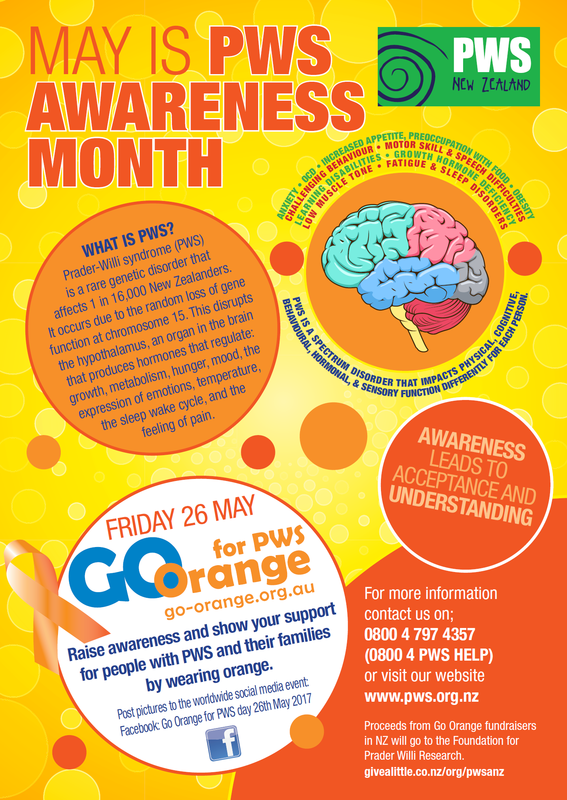 Ask us for a FREE Family Awareness Pack to get you started! 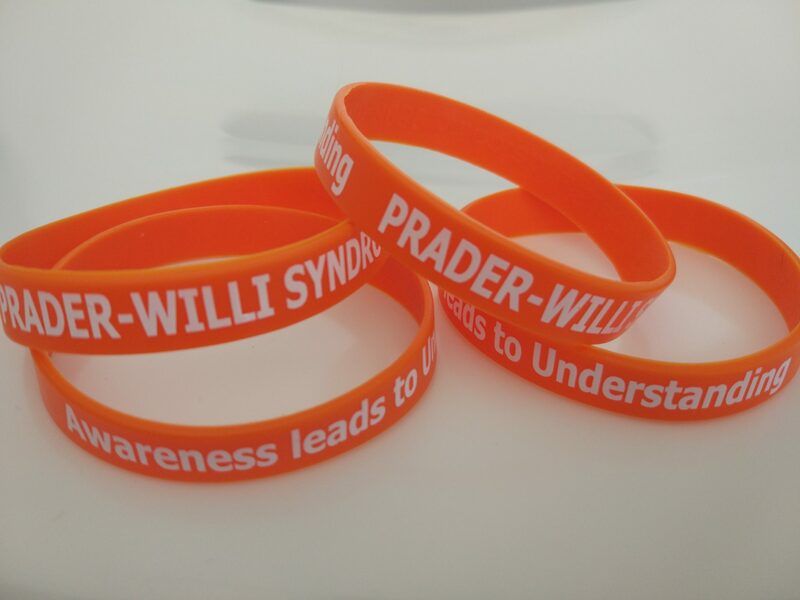 Includes: 10 ribbons, 4 adult + 4 small wristbands.